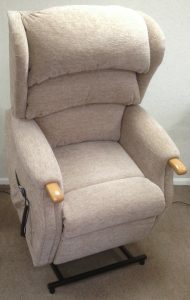 King range of Lift & Rise Recliners available with with waterfall pillow back for excellent back support & wooden knuckles for a frim grip for ease of getting into & out of the chair. You may have seen this chair in a larger store under a different name, yes it’s exactly the same chair made by “Celebrity” furniture. Some large stores have their own name badge on the handset, that’s the only diffenence, it pays to shop around, so please visit our showroom. I’m sure you will be pleasanlty supprised. 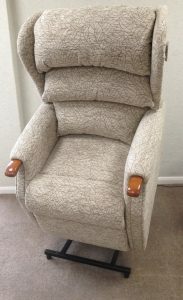 Our Lift Chairs (or Lift and Rise Recliners) are available in petite, small standard and large/grande sizes & as single or dual motors with battery back up, & some models are available with heat & massage pads. 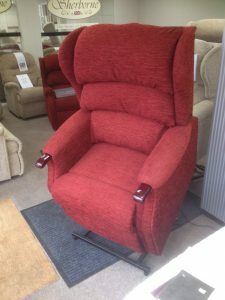 Most lift & rise recliners have matching manual recliners & 2 & 3 seater settees available to complement the range so the lift & rise chairs can be part of a complete suite.